A practical two-week production design course. Please note: This is a selective programme, applicants must show a genuine interest in this area and be committed to pursuing a potentional career in the art department. There is no movie without the art department! Did you know that the art department is the BIGGEST department on a film or TV production and has a vast range of jobs and career paths on offer? 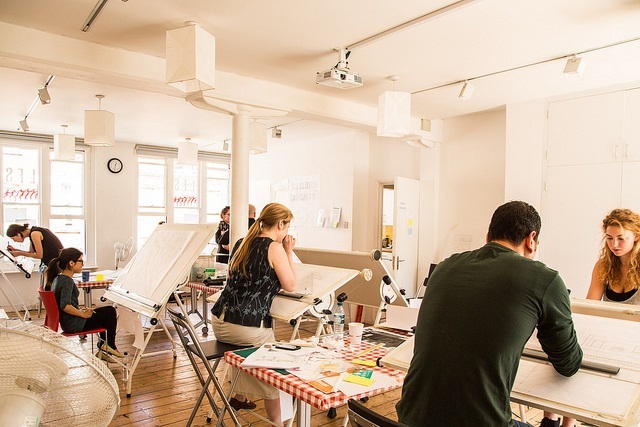 From set decoration to graphic design, drafting and prop making the art department needs people with a variety of skills. If you have a desire to work in Film/TV and you have an interest in art and design then this is for you. This intensive and practical course is aimed at beginners looking to break into the field of production design and give you the basic skills to start work as a junior in the art department. have gained a vital insight into how an Art Department is organised, and how it relates to all the other departments on a Film or TV production. have experienced a live working art department and received bespoke advice from industry professionals. have a better understanding of how to progress into the industry including how to manage your career, how to interview for jobs and how to best present your skills and experience. have confidence that you are ready to start your first job in the art department. Come away with useful industry contacts. 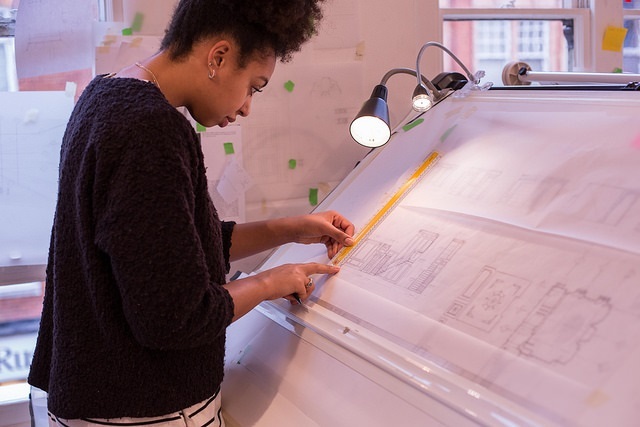 People enter the art department with a variety of skills and backgrounds: some people have been to art school or studied as architects, others may have learned their trade on building sites or at the theatre. For this course we are looking for participants with creative skills and an ability to work as part of a team to take the first steps towards a career in the art department. Applicants should show real drive and an interest in this area as a potential future career. We particularly encourage applications from women, disabled and Black, Asian and minority ethnic (BAME) candidates, as these groups are underrepresented throughout the screen industries. Everyone working in the Art Department needs to be able to read a set of scenic plans. At least two days of the course will be devoted to the fundamentals of hand drafting to allow you to draw a simple set from a designer’s sketch. Reading a technical drawing is a language that needs to be learnt. 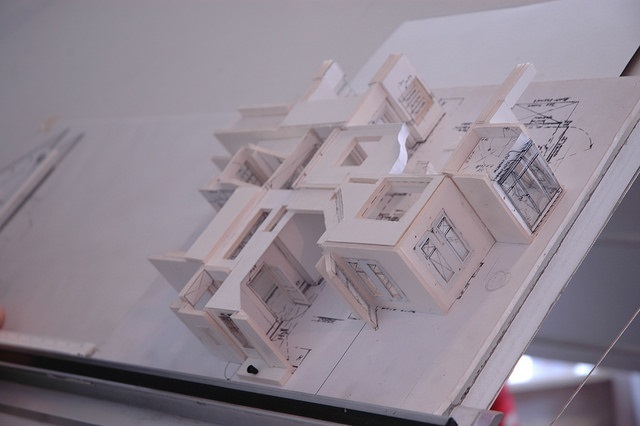 Making a model of a studio set or location build is the second basic skill that is required. From a given set of plans Fleur will explain the techniques of white card model making, enabling you to build an industry standard, professionally finished, presentation model. This is one of the first big jobs an Art Dept junior will be asked to do. Location surveying is the process of “measuring up" a potential location, then preparing and presenting a legible drawing to scale. Participants will spend time surveying a given space with all its irregularities, and learning how to write and collate the data. This will enable them to make a plan with all the vital information about the location. Anyone in the art department may be asked to quickly sketch a storyboard. This workshop will explore basic camera lenses and how sets look on camera. It is designed to give participants the basic skills needed to translate a director's requirements and accurately represent them in a storyboard. Breaking a script into its components is a discipline which every member of the art department needs to know. Working from an actual, produced script, this module will lead participants through the process of examining a script from the perspective of the art department. Participants will be taught standard industry practices and introduced to asking the right questions to allow them to pull all the necessary information from the script. Once the script is broken down, the participants will then be shown how the filming schedule affects the Art Department and how to prioritise the filming requirements. As part of the practical part of the course participants will hear from industry professionals during ‘in-conversation’ sessions. These will consist of a variety of professionals giving presentations about their role in the production and be co-ordinated to fit the specific topics. Guests will include a construction manager, a set decorator, a VFX supervisor, a production designer and a stand-by art director. 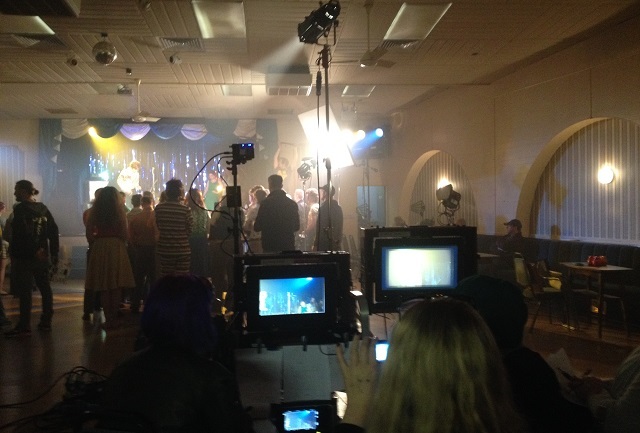 Learning your way around a set and understanding what the expectations are can be daunting. In the latter part of the course participants will take part in sessions on career development, receive advice on how to progress into the industry, the do’s and don’ts of the art department and set etiquette. Putting everything in context this section will include a few trips to see an art department in action as well as a prop hire house. Fleur Whitlock is an art director and production designer with nearly 30 years' experience at all levels of film & TV. Her recent TV credits include: EPISODES, THE END OF THE F***ING WORLD and the upcoming Idris Elba series TURN UP CHARLIE. Her feature film credits are extensive and include: 10, 000 BC, CHURCHILL: THE HOLLYWOOD YEARS and the Crystal Bear winner, BUTTERFLY KISSES. Fleur regularly runs production design training courses in the UK and abroad. Fleur's full credits can be found on IMDb.